The Delaware River flows 419 miles south from its source in the Catskill Mountains of New York to the Delaware Bay, just north of Cape May, New Jersey. A 1757 map by Thomas Kitchin illustrates the interconnectedness of the landscape that 17thand 18th-century settlers to the area experienced. Abundant natural resources and navigable rivers made the colony of West New Jersey (founded 1676) a destination for many. The waterways were an integral part of New Jersey’s successful timber trade and provided the means for its craftsman to be mobile within, and between, colonies in the Delaware River Valley. Inland waterways as well as social and religious networks help account for the movements of two early Quaker craftsmen—William Beake(s) III and Seth Pancoast, a joiner and cabinetmaker—who sought economic prosperity on both sides of the Delaware River. Seth Pancoast (b. 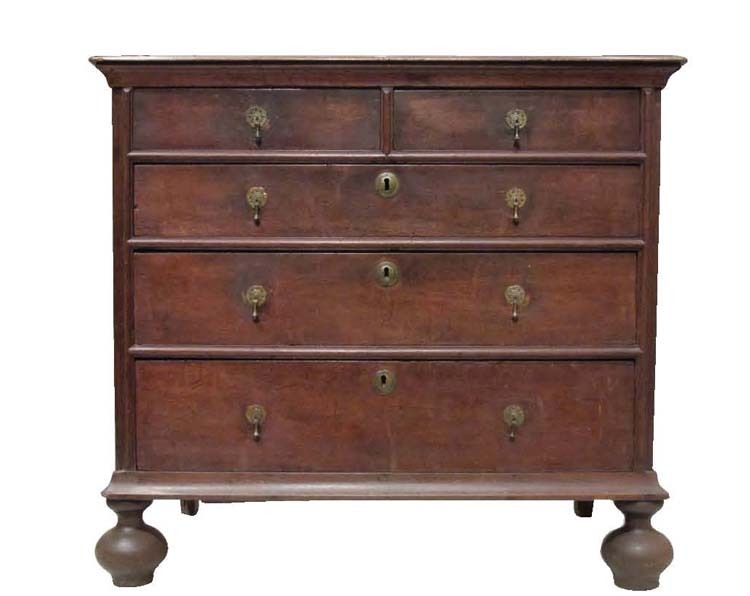 1718), the cabinetmaker whose signed high chest of drawers dates to 1766 and to whom a companion dressing table also in figured maple is attributed, came from a family of carpenters. His grandfather, John (Panckhurst), emigrated from Northampton, England, to Mansfield Township, Burlington County, New Jersey, in 1680. Upon his death, John willed his “carpentures tools” to sons William (Seth’s father) and Joseph.4 It is possible that Seth apprenticed in Mansfield or Burlington or in Chester County, Pennsylvania, with his eldest brother, William, who had married Mary Copeland in 1730 under the oversight of the Chester Friends Meeting. Seth no doubt was successful in the Marple Township area (now Delaware County), where he settled after marrying Esther Coppock in Chester County in 1741. His refined pieces certainly are the work of a practiced hand. The definitive reasons for the movements of these Delaware River Valley artisans are not known, but it is probable that economic promise drove them while their social and religious networks made their relocation possible. Their accomplished work helps illustrate the skill of craftsmen practicing their trade outside the urban center of Philadelphia and reminds us that hundreds more did so successfully—their furniture and stories still waiting to be discovered. Post by Jackie Killian, a 2014 graduate of the Winterthur Program in American Material Culture, is the Sewell C. Biggs Curatorial Fellow at Winterthur. 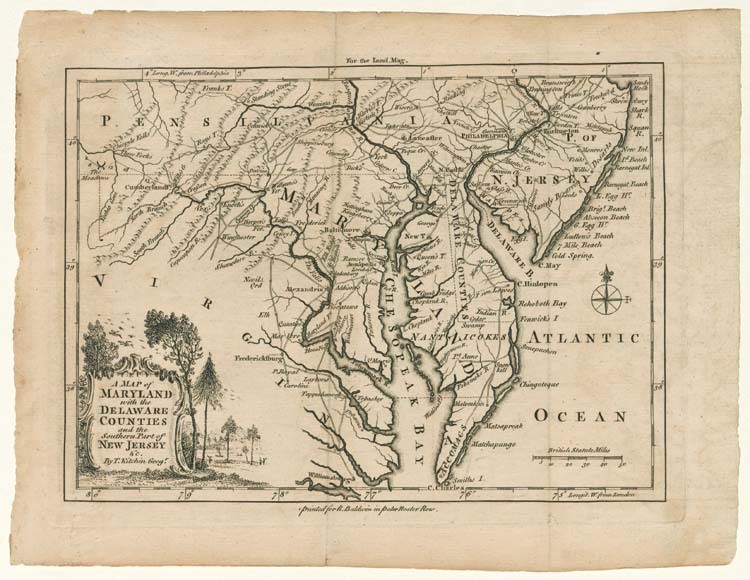 1 Gabriel Thomas, “An Historical and Geographical Account of the Province and Country of West-New-Jersey in America, 1698,” in Original Narratives of Early American History: Narratives of Early Pennsylvania, West New Jersey, and Delaware, 1630–1707, ed. Albert Cook Myers (New York: Charles Scribners’ Sons, 1912), 349. For more on the early use of cedar shingles, see Theodore Maisch, “Episodes in the Lumber Industry,” Southern Lumberman 136, no. 1760 (July 15, 1929): 64–65. 2 Thomas, “Historical Account,” 350. Joseph Hibberd, 1737, Inventory #609, Chester County Archives. My thanks to Lisa Minardi for providing a copy of this document. 3 I am grateful to Christopher Storb for sharing his knowledge of Beake’s life and apprenticeship. The three Beake chests are in private hands, including one in the collection of the Dietrich American Foundation. 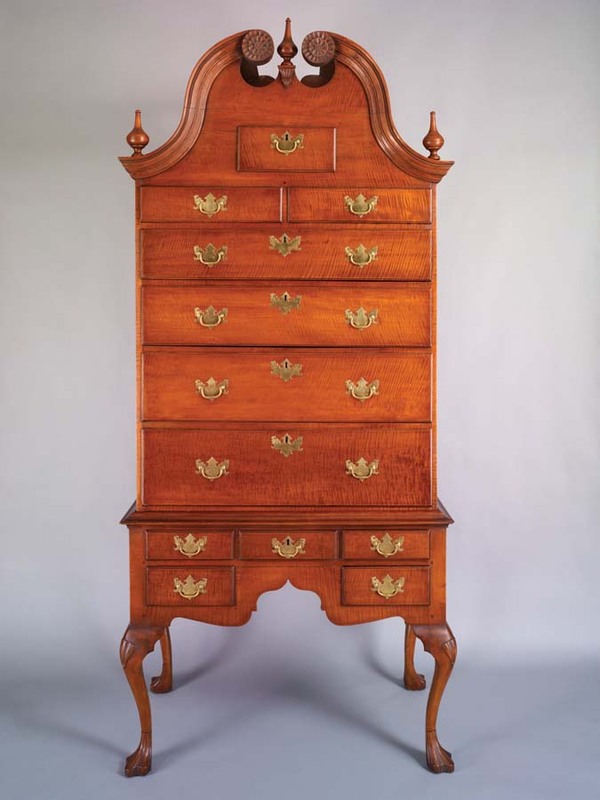 4 For more on Seth Pancoast and the Pancoast family, see Wendy A. Cooper and Lisa Minardi, Paint, Pattern & People: Furniture of Southeastern Pennsylvania, 1725–1850 (Winterthur, Del. : Henry Francis du Pont Winterthur Museum, 2011), 122–23; and Bennett S. Pancoast, The Pancoast Family in America (Woodbury, N.J.: Gloucester County Historical Society, 1981), 1–27. This entry was posted in Decorative Arts, Furniture and tagged Cape May New Jersey, Catskill Mountains, Delaware Bay, Delaware River, Delaware River Valley, Jackie Killian, John Panckhurst, Joseph Hibberd, Seth Pancoast, Sewell C Biggs Fellow, Thomas Kitchin, William Beake, Winterthur, Winterthur Museum, Winterthur Museum Garden & Library, Winterthur Program in American Material Culture. Bookmark the permalink.